Justin Timberlake & Jessica Biel - MTV VMAs 2013 After Party! Justin Timberlake and his wife Jessica Biel arrive at PH-D at the Dream Downtown after the 2013 MTV Video Music Awards on Sunday (August 24) in New York City. The 32-year-old entertainer and Jessica, 31, were joined by Justin‘s ‘NSYNC band mates Joey Fatone and Chris Kirkpatrick at the big bash. In case you missed it, check out Justin performing a medley of his greatest hits while accepting the Video Vanguard Award. FYI: Jessica is wearing Dolce&Gabbana. Justin Timberlake & 'NSYNC: VMAs Press Room! Justin Timberlake is the center of attention while posing with his ‘NSYNC band mates in the press room at the 2013 MTV Video Music Awards held at the Barclays Center on Sunday (August 25) in Brooklyn, N.Y.
After the performance, Justin was given the Video Vanguard Award by close pal Jimmy Fallon, who also posed with him in the press room. 'NSYNC: VMAs 2013 Reunion Performance - WATCH NOW! It officially happened: ‘NSYNC took the stage to reunite with Justin Timberlake at the 2013 MTV Video Music Awards held at the Barclays Center on Sunday (August 25) in Brooklyn, N.Y.! The 32-year-old entertainer invited the guys – J.C. Chasez, Lance Bass, Joey Fatone, and Chris Kirkpatrick – on stage to sing “Girlfriend” and “Bye Bye Bye,” to which they performed their iconic dance moves. ‘NSYNC: VMAs 2013 Reunion Performance – WATCH NOW! 'N Sync Joins Twitter, VMAs Performance Details Revealed! ‘N Sync has just joined the Twitter world, making it seem ever more likely that their rumored 2013 MTV Video Music Awards performance this weekend will happen! “Mic check, mic check one.. two… is this thing on? !” the band wrote for their first tweet. The band members – Justin Timberlake, J.C. Chasez, Lance Bass, Joey Fatone, and Chris Kirkpatrick – are rumored to be reuniting on stage for the first time in over 10 years. Make sure to catch the MTV VMAs tomorrow on MTV! Justin Timberlake & 'N Sync Reuniting at MTV VMAs 2013? Great news ‘N Sync fans: rumors are swirling that the boy band will be reuniting with Justin Timberlake at this week’s 2013 MTV VMAs! A source cites that the guys – J.C. Chasez, Lance Bass, Joey Fatone and Chris Kirkpatrick – will join already announced performer Justin on stage for a performance, Page Six reports. Last week, the ‘N Sync guys sat in the VIP section and Justin‘s concert with Jay Z at the Sun Life Stadium in Miami. Also in attendance were his wife Jessica Biel and mom, Lynn. The 2013 MTV VMAs air this Sunday (August 25) on MTV. 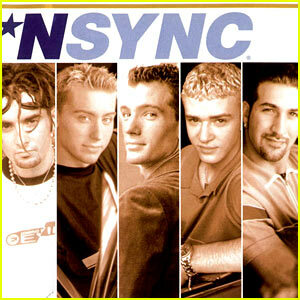 WOULD YOU BE EXCITED to see an ‘N Sync and Justin Timberlake reunion at the 2013 MTV VMAs?? Justin Timberlake: Shriners Hospital Golf Tournament! Justin Timberlake plays a round of golf as the host of the Shriners Hospital Charity Golf Tournament on Wednesday (October 3) in Las Vegas. The 31-year-old entertainer was joined on the green by George Lopez and his former N’Sync bandmate Chris Kirkpatrick. This is reportedly the last year of Justin‘s partnership with the hospital, which he started back in 2008 as the title sponsor of the tournament.